At about 3K, I begin asking myself why I do this? Why do I chase these silly goals I put in front of myself? By the time I finish….my face pretty much shows how I feel. But magically…within 3 minutes…I’m already thinking ahead to the next one. It’s funny, an article sent by a friend recently reminded me that at 45, I am by all scientific evidence, beginning to slow down and that the wonderful effects of aging are starting to show. Not a lot, but a little. It also went on to say that I’m probably in denial about it. Yeah…pretty much. The truth is, my entire athletic journey has been one built on denial. I’ve refused to believe that anything is outside my grasp if I work hard enough. I’m smaller , less muscular and for the most part getting involved in most of this really late. Yet, in my mind, I am within reach of so much and I will keep reaching as long as I can..which is probably the rest of my life. It’s been tough trying to retrain my fast twitch fibers, but I truly believe I can do this. If not this fall, then I’ll patiently wait until spring and continue training for it through the winter using snowshoe racing as the spring board. If age has shown me one thing, it’s how to be more patient with some of goals. If my experience has shown me anything, it’s that denial can sometimes lead to me achieving my goals. So, why quit now? I have big plans! For those of you who refuse to accept the status quo or are denial…keep on keeping on! It’s always funny how things appear out of no where and can have a sudden impact on you. Day after day, we’re bombarded with causes and crusades. Some we know, some we don’t , but always for the things that we deem important. There is nothing wrong with that, that’s how life goes and each penny we donate or minute we volunteer goes to a good cause. Hell, you’ve all seen me post about i2P, an organization that I am passionate about because I believe in the Youth of today. But something funny happened last week. I was scrolling through my newsfeed and I saw my ultra running friend Andrew Titus post something about his friend Brad Firth. ( AKA Caribou Legs ). Now, Andrew is pretty cool guy and I really enjoy chatting with him and following along with his adventures from afar. ( He lives in New Brunswick ). So, when he mentioned this “ Brad Firth “ guy running across Canada, I figured I’d tune in a little bit and see what it was all about. This is where it it became not just an average feed. Brad you see, is part of the first nations people. He’s not just running across Canada..he’s running across Canada to gain awareness around the missing and murdered indigenous women. He’s not just a runner that started late, he’s a former addict that completely changed his life. Why is this different you may ask ? I have been thinking about this long and hard for a few days. Why was this sticking to me? Why…? On my run today, it came to me. There are no 24 hour walks or local races raising funds for this cause. There continues to be sparse media coverage. There are no Facebook rants about this. There is at best, the odd one time – online statement, about needing to do better. So why is Brad different? Because despite all of this…and knowing that he may never become a household name….he continues. His hope, is that someone will listen..and maybe more will step up and help make a difference. My hope, is that more of us stand up too. I’m a typical middle age, middle income father who doesn’t have a clue about some of these issues. I’ll admit that right now, but I am willing to listen and learn. Here are a few other links about Brad and his past..and journey. I’m often asked how I manage to fit it all in. The truth is, it is a fine line and sometimes it does get crazy. Everyone’s situation is going to be different, but here are some of the ways I work with my wife to manage it. 1) Work as a team – if you have a spouse or significant other, you better believe that you are a team. You may be doing the training, but she/he is making accommodations to allow you to train. Respect this team and communicate often. If the top 2 are suffering, I won’t be able to manage my training or competitions. 3) Have an Equalizer – For me, my equalizer is my wife. While I receive full support, she is also my elastic band that pulls me back if I get too far out. If she suggests something, it’s typically for a reason. If you’re not married, this could be that friend who reminds you that it’s been 3 weeks since anyone saw you! Listen! 5) Look for opportunities to combine – Within a given week, I pick up and drop our kids off at multiple events. 3 kids (including two teenagers) with different interests means a lot of road time. However, the events are often for a certain length and typically set each week. This could mean lacing up my shoes, or jumping on my bike while they are doing their thing at gymnastics or horseback. In these cases, I seek quality over quantity for my workout. 6) Use more hours of the day – This is exactly what it means. I get up early or go later in the evening. In summer, it’s not uncommon for me to be up at 4:30 am on the weekend. This ensures I have most of the day with the family. I also try to plan my day around the family as the starting point. If the cross over begins to happen, I use the equalizer (see point 3) to ensure what I am doing is ok. The days are busy and often non-stop, but I would not have it any other way. Not all of these may work for you, but perhaps it can give you a starting point. It’s no coincidence that the top 3 all revolve around my spouse. It’s no joke when you hear the term tri-widow or ultra-hermit so be mindful and sensitive to what is happening around you at all times. The whole purpose of this preseason was not to build to anything in particular, just kind of play around a bit. There was no focus on speed, no focus on endurance and no focus on technical skills. All of this will come later. As Ray described it to me, he wanted me always coming out of each week feeling like I could have done just a little more. 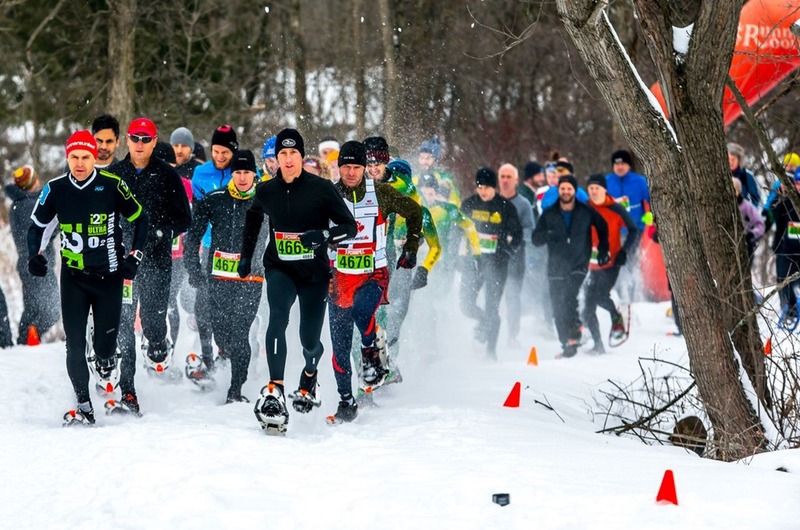 The snowshoe racing season was a total write off this year, and I was happy to be able to get one race in. The trails in my area were stuck between a constant melt and thaw which meant running them was not realistic or safe. Almost all of the early winter training was done on the road as weather allowed. Not specific to any particular area, just kind of rotating through all of them to keep them somewhat fresh. This left me with a bit of a void to fill, as my racing fix was totally absent with no snowshoe races. By March, I started looking for some road races to play with and test my fitness a bit. Little did I know, I’d actually come out of the off season with 3 PBs and a pretty good placing in a deep competitive field in Toronto. Purpose: Have fun, work off-season speed a bit. – Always hard, but fun. Right around the end of February, I started getting bored and decided I needed a race to brighten the season up. 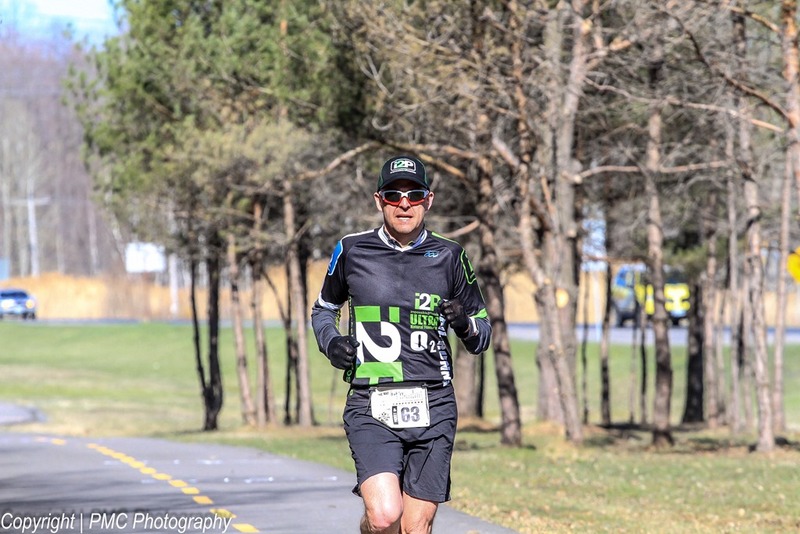 It had been a while since I raced a 10K, so I decided to go back to the St. Pattys Day race in Ottawa. I had no expectations going in, but I was looking to try and PB if the day would allow. I came away very happy with almost 20 seconds off my previous best. – Short game is in good shape with not too much speed focus. My garmin is reading this as 10.14K and actually has me crossing the 10K mark at 37:59. My goal is to break the 38:00 barrier within the year. With some success at the 10K, I stumbled on a fun little 5K in Brockville and decided I’d give it a shot as well. The nice thing about this one, is that friends were also racing it which meant I would have the push I needed. For this, I was looking for a PB. 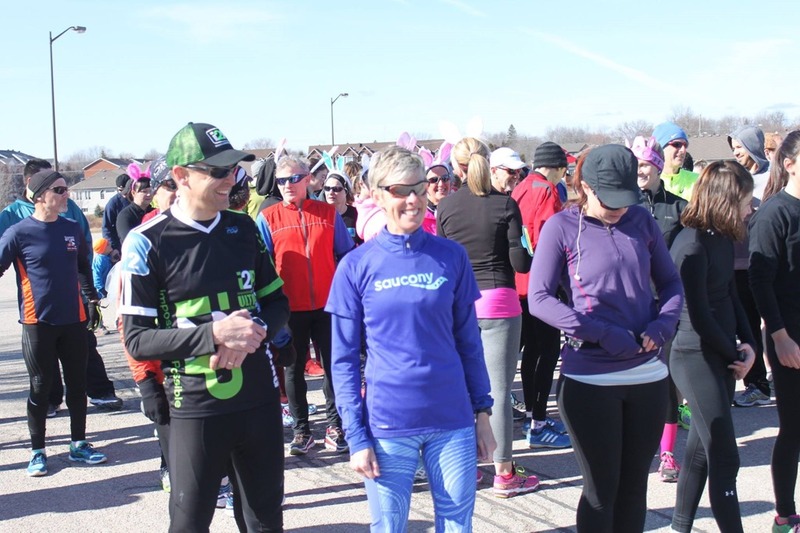 This was not a very large race, but the front of the pack was competitive and saw me running with Paula Wiltse and her husband Brock. Both are very fast. I love running with them because they give me a real push. The differences between us are seconds and on any day it could any way. In fact, Paula had bested me earlier in the fall. – Short game is in good shape with not too much speed focus. My goal to break the 18 barrier within the year. This race was a last minute decision. Paula had suggested it to me in Brockville. It’s short, fast and hilly. I love hills and my short game had been performing pretty well, so once I saw the profile, I knew I wanted to run it. Plus, it was typically a deep field which meant I could try and play with the “Big Guns” a bit and see where I was stacking up. Purpose: To run a challenging course with hills and speed and see how I stack up against some of the elite runners. This race was also last minute and I am sure Ray was wondering what the heck I was doing. Three weeks before the marathon I decided to do this without any marathon training. I had been running long on trails for about 3 weeks getting up to 3 hours. I’d also been doing the races, so I knew I had some speed. But I had not been running tempo at distance/time…so it was a bit of a question mark where it would end up. I managed to grab a 21K run the week before and ran at the pace I thought I could manage. It went well, so into a week’s taper I went with little to no expectations. If I blew up…I blew up. If it worked, I’d land a BQ and a PB. Purpose: To shoot for a PB and qualify for Boston if possible. – Nutrition is still a bit of an area during the marathon. – Marathon is different than Ironman or Ultras. Continue to respect the marathon! Right now, we’ve started exiting the recovery and begin transitioning back to full trails. The race schedule is set and it will be fun to start playing serious again. I’m feeling good about things right now. A new job, a good coach and a happy place in my personal life. My first race is about 2.5 month away, so we have some training to do. It’s not a race I will be competitive at, but I do plan a respectful finish within it. The big races follow later in the summer and I plan to be ready. Huge shout out to my coach Ray Zahab . Ray continues to provide awesome guidance and seems to dial my training schedule in perfectly all the time. Interesting chapter in my nutrition book recently on motivation. The paragraph dealt with the comment “I’m not motivated” this week to eat properly. But it can easily cover other areas such as running, riding, swimming and so on. The challenge that PN threw out, was that motivation should not be a consideration if we have truly made something a lifestyle. It suggests that if we require an outside motivator, it is a dangerous process, that is doomed to eventual failure. Eventually, we run out of motivators because they will be required to get bigger each time. Everything we do, has to be because we choose to live this way and a part of who we are. No different than having a shower, brushing our teeth or combing our hair. They all become part of our routine. All of those are optional, but many of us shudder to think about not doing them. I truly believe, there is a water level for everyone that makes sense. For some, they may be 90% fitness oriented and 10% training. For others like myself, I am 90% training and 10% fitness. In the end, there is no right or wrong as each of us are different and each can change. In 2 years, I may have switched entirely. The key is, we should do (or not do things) because we choose and not because we require a motivator. I may skip a shower because I felt really lazy but that is a choice not a lack of a motivator. I may go for a run, even though I am tired because that is my choice as a lifestyle. The term motivator can be a scapegoat for something else. Figure that out, and you will find a much more balanced approach in your life with less stress. Training is supposed to be about physical stress, but it should not add to the life stress. If it does…go back to the start, reset and go forward with a clean slate. Remember, this is your story..write it your way! I was asked about the dreaded mental wall, the overwhelming feeling that you just have to stop! We’ve all been there and here are a few of my thoughts that I wanted to share. Nuitrition – you have depleted your glycogen stores and your body has not switched over to fat burning yet. Typically, if you are running under 60 minutes depletion of glycogen levels is not an issue. Although your body may not be efficient, it’s not running out. Going too hard – running too fast too soon. If you are running intervals, normally they are high output followed by a rest period that includes a stop. Central Governor theory or general anxiety over something new. Your brain is hard wired to protect the body, and if there is anything, even a little bit different, it sometimes starts panicking. It wants to bring you back to a state where it knows it can function comfortably. The brain will play little tricks that include making you think you need to stop. But think about this, what happens when you do stop? You suddenly feel better and can usually go again right away. We need to break that cycle with your brain and the only way to do that is to force it to reset itself. We need to push through the wall and bring it back in line. “I’ve gone 2 minutes instead” of “I still have 3 minutes to go“. 2) Think about the moment, not the bucket. Acknowledge what you are feeling..and then let it go. “Right now this moment and second, I am ok” instead of “I’ll never make 4 minutes because I feel too tired“. 3) When you are feeling like you need to stop, do a quick body reset. a) Shrug your shoulders and roll them back 3 times. c) If needed…slow pace for a second. d) Smile and remember that there was a time you would not have been running at all. Try these tricks and let me know if they work. Also know, there is no definition of what makes a runner and you make your own rules in the end. I’ll jump to the punch line and say right up front "It’s complicated." I believe the theory is absolutely 100% correct. I don’t think anyone would argue that given ideal circumstances, the body is built to function but humans have done a good job at making it hard to do so at times. High heels are not a normal evolution to walking, nor is sitting at a desk for 8 hours a day. When Born to Run came out, people everywhere jumped on the bandwagon and immediately thought running barefoot or with zero drop shoes would solve all the problems. And when some started getting injured, they called the idea bull-crap. For many of us, we have spent 40 + years walking and running a certain way. The muscles are developed to accommodate that and within lies all the underdeveloped and overdeveloped sides of the story as well. If you wanted to lift weights, the last thing you would do is rush into a gym and expect to go + 250 lbs on your first go. Weight lifting is about strength AND form and technique. Even if you had the strength, if you tried to lift with bad form and technique…you risk serious injury. Our bad habits or weaknesses, and yes we all have them, that we manage to band aid or compensate for are suddenly magnified when we overextend. It takes practice, training and progression. My friend and former coach Neil Rosenthal is an expert at running form and technique. Neil works at Solefit in Ottawa and amongst many things to aid the body, they do video analysis of running and provide insight to people all over the world. 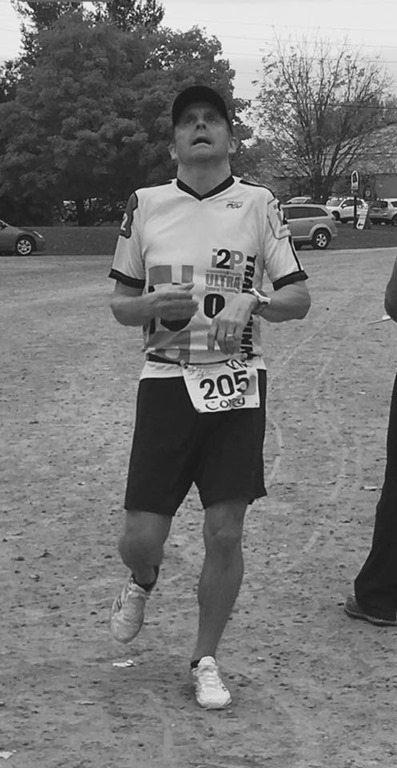 When Neil transitioned, he took months and slowly restarted to run. Low distance, slow pace. When Neil transitioned me out of the high drop world, we did it over a period of 8 months starting very slowly. Even now, I am not fully minimal and I doubt I will go all the way. Running with minimalist ideals is a good theory. But you need to think about this, and go slow. You need to consider your form, your current habits, and most important your current state. Meaning, if you have recurring injuries, you need to understand that and try to resolve it. If you need orthotics for a legit reason, you need to take that into consideration. There is one more consideration. You have to ask yourself "Why do I want to do this?". 4) Follow your training plan. If you have a plan, there is a logical reason for most workouts and where they are placed. In some cases minor shuffling is ok. But jumping in and out and or missing crucial build periods only opens you up to injury or failure. If transitioning to minimal theory is what you want, then do so smartly! Develop a strategy and seek input from the experts if needed.